Sanskrit name Yashasvi (यशस्वी) literally means the glorious. Yashasvi is derived from the Sanskrit words Yasah meaning "glory" and Vin meaning "having". Thereby, Yashasvi can be loosely translated as "having glory". Yashasvi is the 80th name of the Goddess Lakshmi's. Yashasvi is also found to be referred in the Epic Lord Ganesha, where Yashasvi refers to Lord Ganesha who is exalted by all. As we can clearly see in the graph above, Yashasvi is a popular name in the USA. Yashasvi is in trend since 2007, where Yashasvi was used by 5 to 6 people per year as the name of their kids. 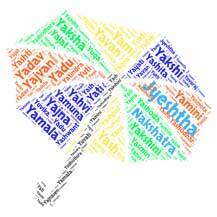 Yashasvi is a somewhat popular name in India. Here Yashasvi is used by few people as the name of their babies. The Hindu baby name Yashasvi is Sweet and Unique. Yashasvi Yadav, is an IPS. Yashasvi Mishra is an actor. Means "God of strength" from Sanskrit(bala)"strength" combin..
Mamta (Hindi: ममता) is a common Hindu name for a girl. The n..
Sanskrit name Sarmistha (Sanskrit शर्मिष्ठा) literally means.. It is the name of wife of Yayati. In Sanskrit Adita means "Beginning, in the very bud". 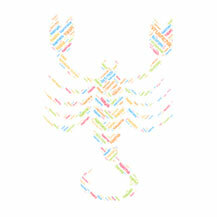 Also A..
Means "Ruler of Gods". Its etymology is a contraction of sur.. Ancient Sanskrit word Arha (Sanskrit अर्ह) literally refers ..